The name of great American photographer, Ansel Adams, inevitably evokes his majestic images of Yosemite, in all their black and white glory. 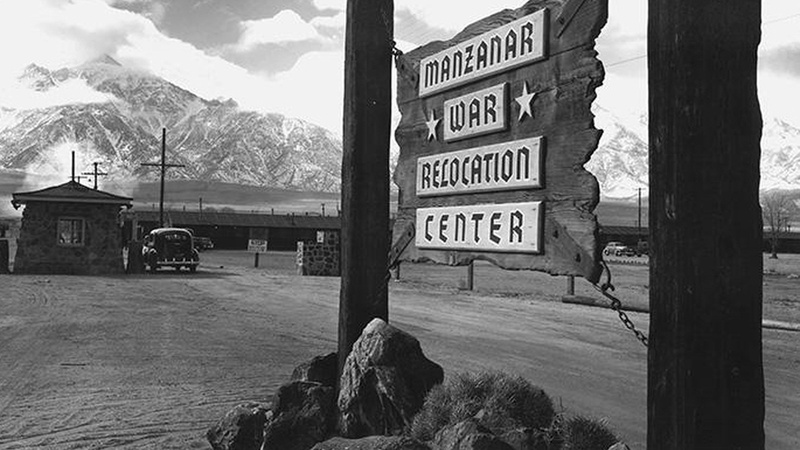 But the traveling exhibition, Manzanar: The Wartime Photographs of Ansel Adams, currently on display at Skirball Cultural Center, presents a lesser-known dimension of his celebrated career. 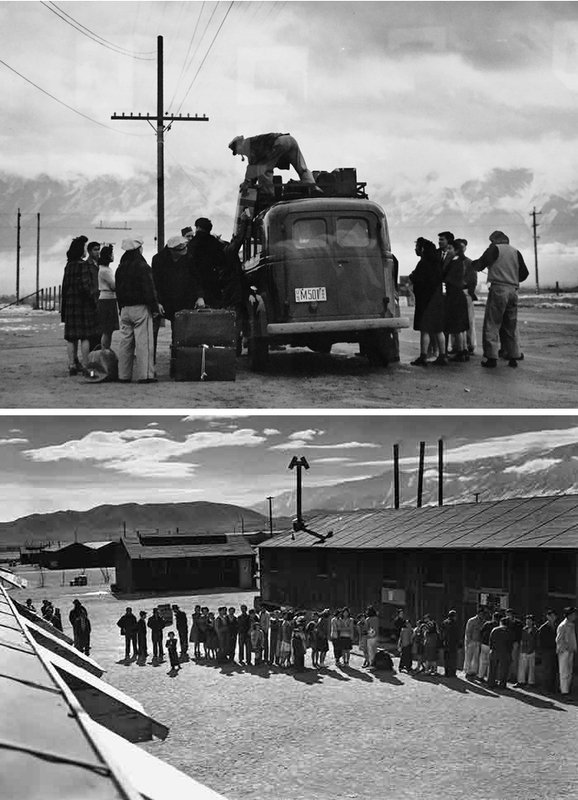 After Japan attacked Pearl Harbor in 1941, President Franklin Delano Roosevelt issued an Executive Order leading to the forced evacuation of 110,000 people of Japanese ancestry from their homes and into ten incarceration camps. 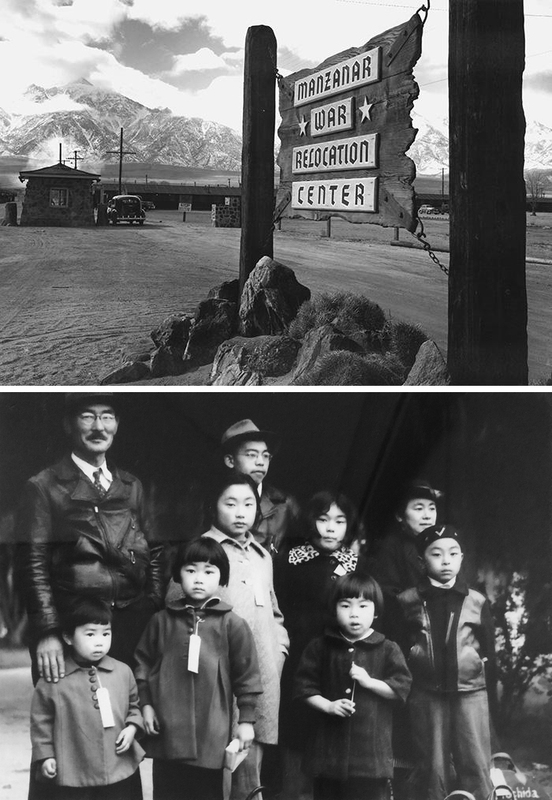 Manzanar was one of them. This Skirball exhibition also includes photographs by other artists, as well as documents, publications, artifacts, and works of art. 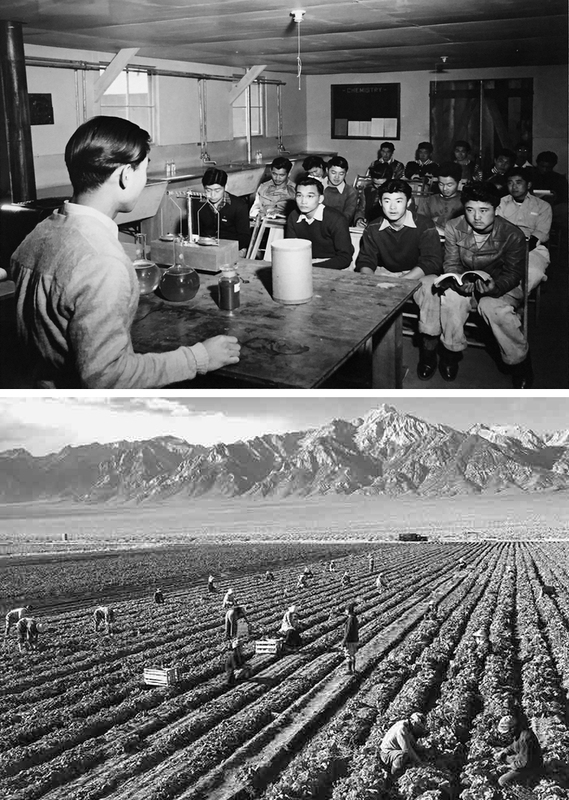 All of these provide context on the life and conditions at Manzanar and illustrate the overt racism of the time. Seeing this exhibition made me very, very sad. 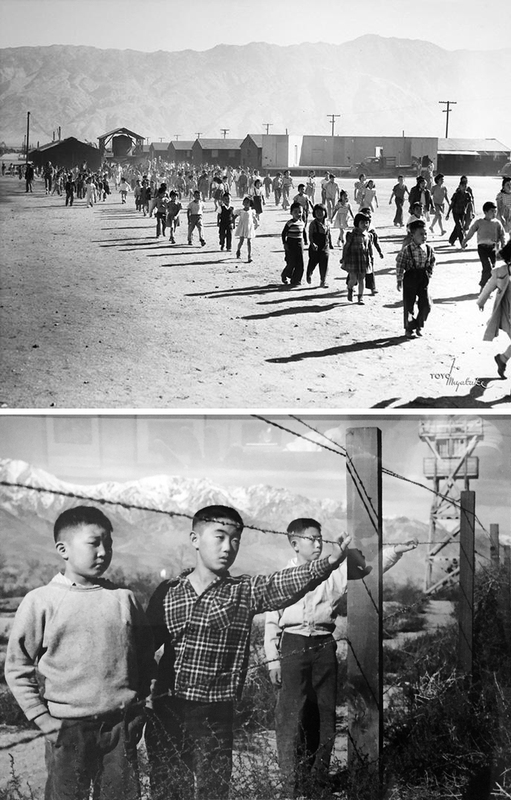 It reminds us of a shameful chapter of our history, which left America with a proverbial black eye. One wants to thank Skirball for the courage and conviction in hosting this extremely important traveling exhibition dealing with the political paranoia of the time. 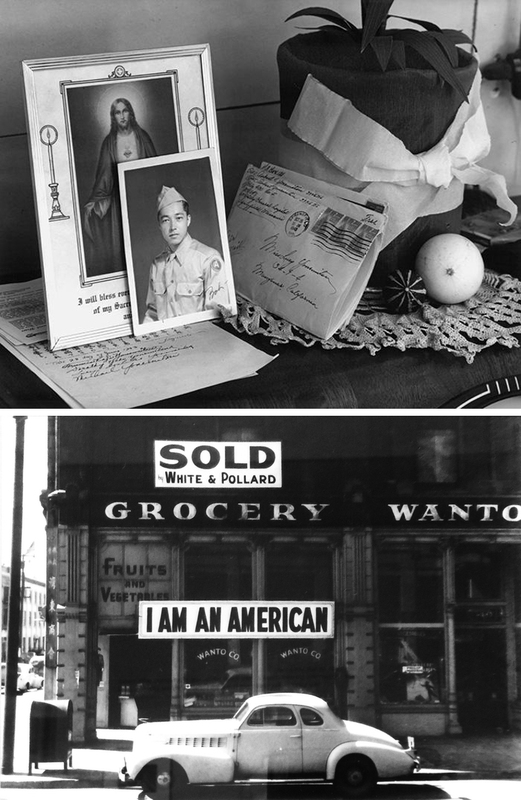 The exhibition's wall text states that, "In the entire course of the war, ten people in the United States were convicted of spying for Japan. All of them were Caucasian.” Do I hear you choking? I definitely did when I read it.